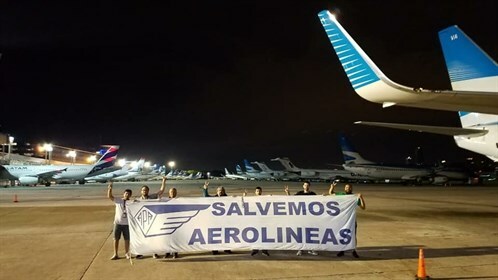 The general secretary of the International Transport Workers’ Federation (ITF) has written to Argentine ministers demanding immediate action to resolve a dispute at the Aerolíneas Argentinas Group. In the letter to minister of transport Guillermo Dietrich and minister of production and labour Dante Sica, Stephen Cotton says: “I am writing to you as we have been informed by our affiliated unions the AAA, APA, APLA, UALA and UPSA about serious breaches of contract, a refusal to negotiate and severe unjustified sanctions against workers at Aerolíneas Argentinas. “We believe that the key to airline growth is social dialogue and joint agreements between unions and companies. 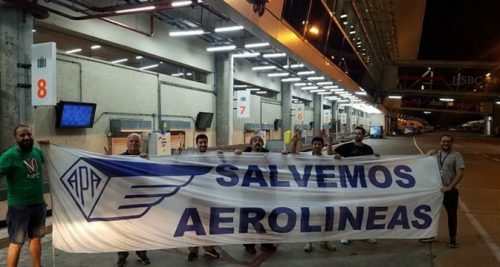 The Aerolíneas Argentinas Group, on the other hand, has breached pre-existing agreements and disciplined workers for protesting legally. “I urge you to take the necessary measures to open a positive dialogue that respects previous agreements and quickly resolves the dispute. The committed workers and passengers of Aerolíneas Argentinas deserve nothing less. Edgardo Llano, vice chair of the ITF civil aviation committee and secretary general of APA, added: “This year’s G20 summit will be held in the Argentine capital from 30th November. If flying to and from Buenos Aires for the summit gets complicated, it will be the exclusive responsibility of Mauricio Macri’s government.